Cachaça and Caipirinha fans rejoice! Novo Fogo is launching the world’s first sparkling Caipirinha in a can. In a move that Novo Fogo refers to as “instant tropicalization in a can,” the USDA-certified organic cachaça producer is making Brazil’s national spirit and national cocktail truly accessible. 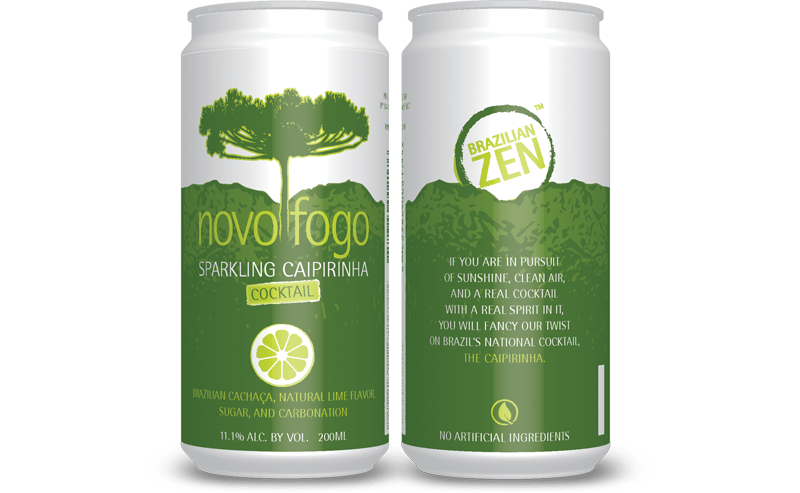 The Novo Fogo Sparkling Caipirinha combines freshness, deliciousness, and shelf stability in a natural, flavorful, carbonated ready-to-drink package perfect for patios, pools, barbecues, sporting events, concerts, tailgating, and beaches. Bartenders can serve the Sparkling Caipirinha straight from the can, over ice, and choose whether or not to garnish the drink with a lime. The Novo Fogo Sparkling Caipirinha is available nationwide and online with an SRP of $3.99 per can.